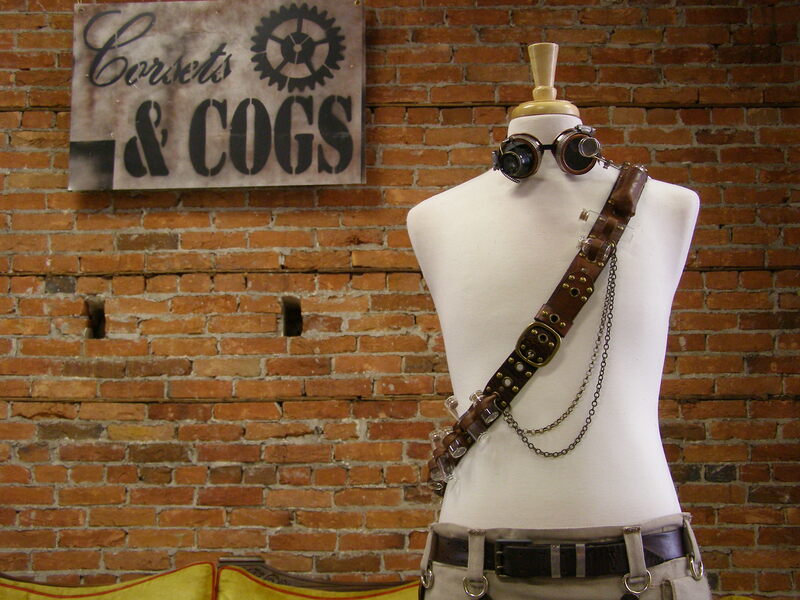 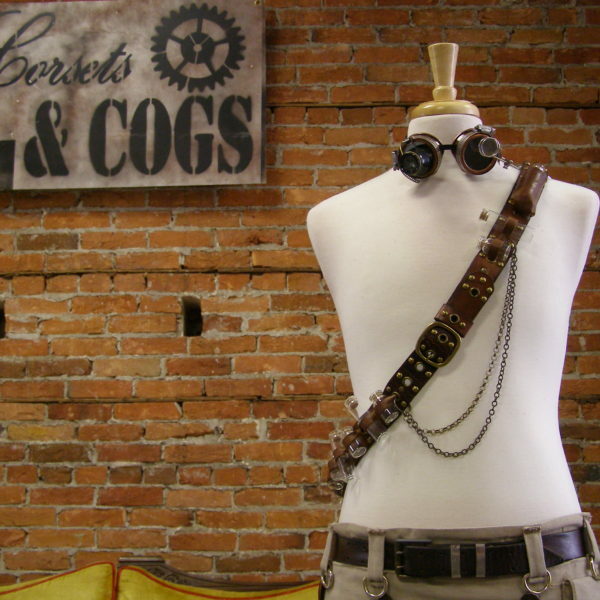 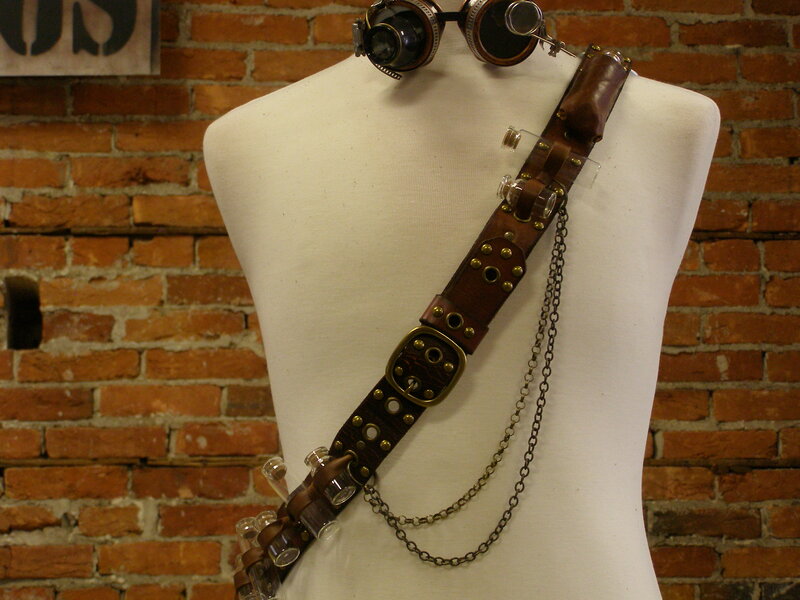 This listing for a Steampunk Alchemist’s Bandolier. 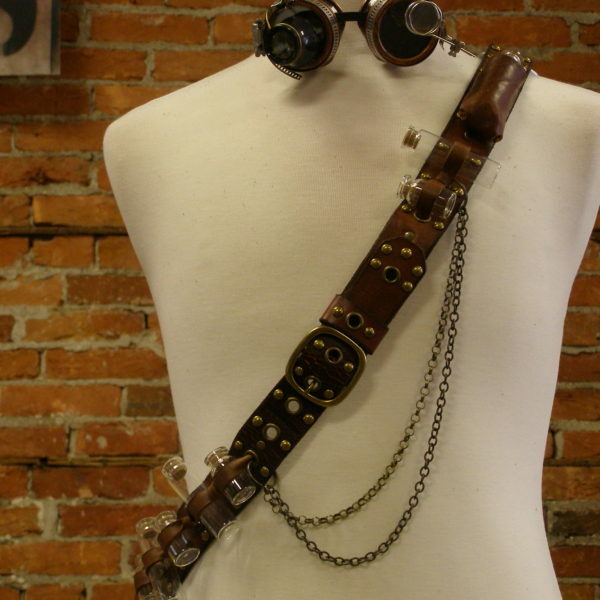 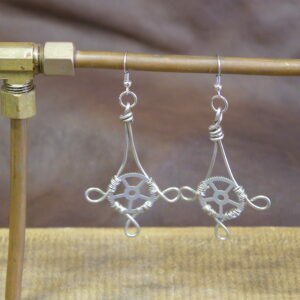 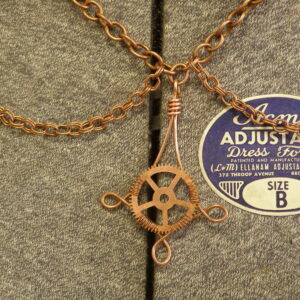 This accessory is great on men and women alike and is a great addition to any scientist, alchemist or other steampunk outfit. 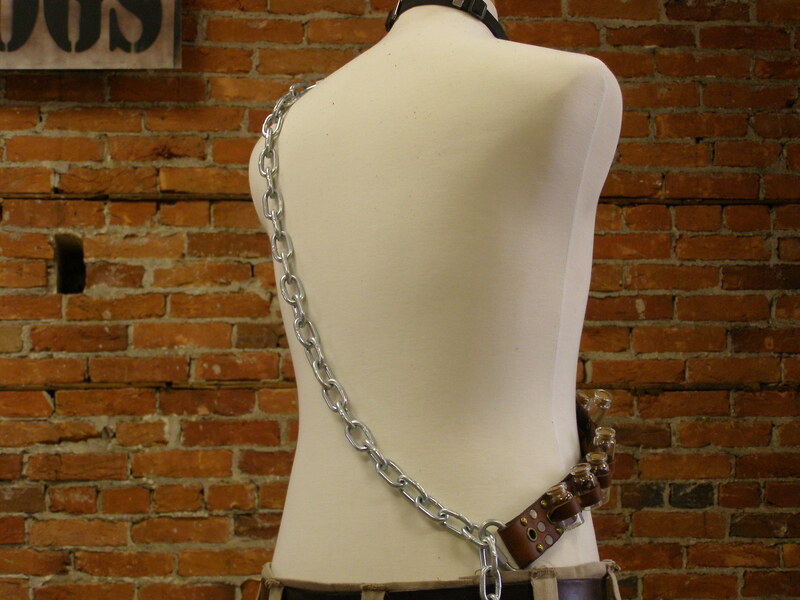 This bandolier is made from and upcycled vegan leather belt and is stitched with nylon thread to ensure longevity. 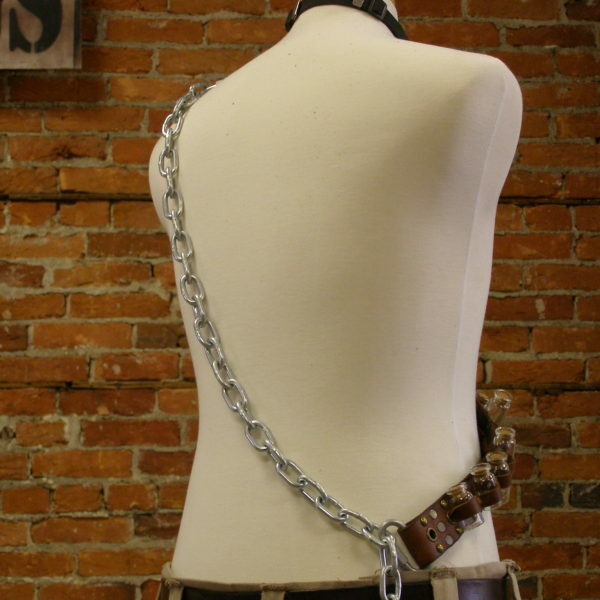 Chains and glass bottles complete this piece, and the bottles are corked so that you can fill them to suit your character.